Born a photographer, Abbas, an Iranian transplanted in Paris, has dedicated his work to the political and social coverage of the developing South. Since 1970, his major work, published in world magazines, includes wars and revolutions in Biafra, Bangladesh, Ulster, Vietnam, the Middle East, Chile, Cuba, South Africa etc. Abbas is currently working on the Clash of Religions, defined as culture rather than faith, replacing political ideologies in the strategic struggles of the near future. 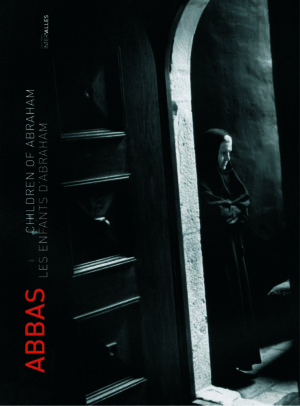 Abbas is a member of Magnum Photos since 1981. Invited by the Nobel Peace Center in Oslo for a huge exhibition, Abbas gathers here his work on the 3 major monotheistic religions for the first time in a book, with written extracts from his travel diaries. From 1978 to 1980, Abbas covered the Iranian Revolution. Then, from 1987 to 1993, he travelled the land of Muslims. From Xinjiang to Morocco, from London to Timbuktu, visiting New York and Mecca, he photographed the daily lives of Muslims, the rituals of their faith, their spirituality as well as the emergence of some more radical voices. Driven by a desire to understand the internal tensions at work within Muslim societies, he exposed the conflict between a rising political ideology looking for inspiration in a mythical past and the universal desire for modernity and democracy. Heralding the dawn of the “Third Millennium”, the year 2000 seemed to impose itself as the universal calendar, and therefore a symbol of Western civilization. That year, Jews celebrated the year 5760 and Muslims the year 1420. Abraham – “the first Jew” – is also claimed as a common ancestor by Christians and Muslims. Here Abbas gathers his images of the three monotheist religions together for the first time, with extracts from his travel journals.